Galactic Reign is on the hangman's podium, with the noose around its neck. 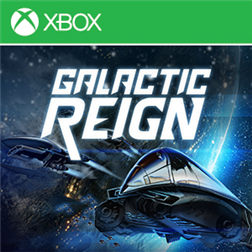 At the end of the day today, Galactic Reign will no longer be playable. The game is online only and the servers go down for good today. We weren't given a time specifically, but were told it happens on 2-28-14, so get popping those achievements while you still can. If you have both PC and phone version you can pop them at the same time, so no use to do it twice, just follow guide on TA or X360A. Goodbye to a decent game that was poorly received.